Summary: This walk was a delight with such a contrast between the outgoing and incoming sections and that is despite the routes being only a hundred metres or so from each other. 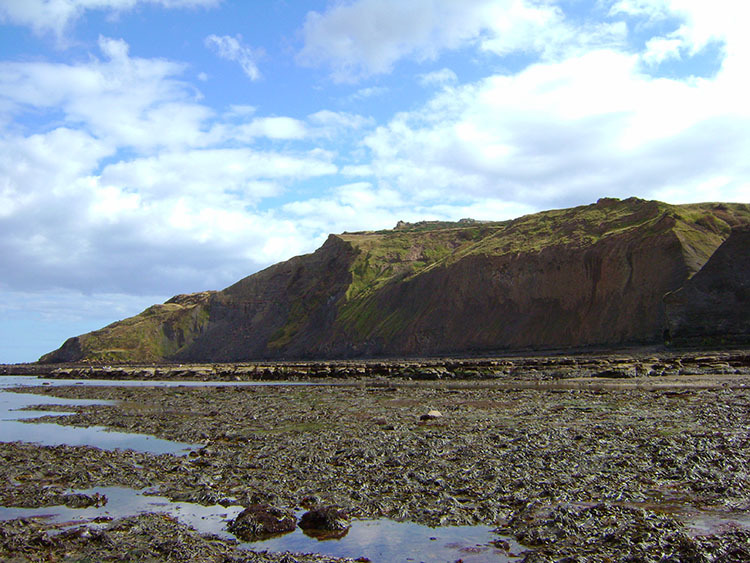 The outgoing section at sea level on the coast between Robin Hood's Bay was fascinating and the return on the cliff top from Ravenscar to Robin Hood's Bay breathtaking. Just make sure to check tide times before you do the walk. In mid September Lil and I took a long weekend break in Whitby with friends John and Carole. I did not have any walking gear with me having emphatically been told by Lil "You're not going off walking, we're spending this weekend relaxing and pottering". I had every intention of doing just that and to plan we spent Saturday traipsing around the shops with breaks for fish and chips and for an afternoon pint. The evening activities took the same wander and see approach with a few pubs visited including one with a live band playing who were just brilliant. Sunday morning was taken slowly with breakfast at our accommodation followed by another wander down to the shops. As I had only taken one pair of good shoes to Whitby I was instructed by Lil to "Get a pair of trainers for the beach. 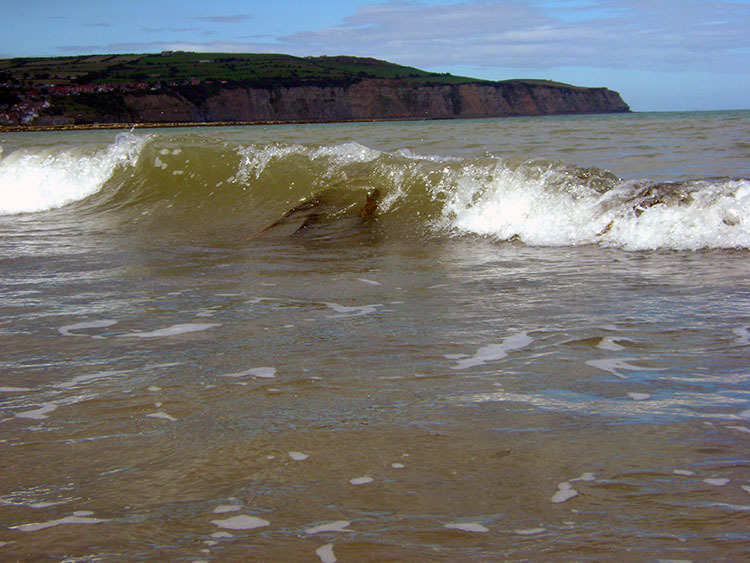 We're going to do some beach combing at Robin Hood's Bay". I obliged. Following the unplanned purchase we drove from Whitby the short distance south along the North Yorkshire Coast to the start of our beach combing expedition. It was a lovely day. We had been here last year looking for Whitby Jet. Then John found some small bits of petrified Monkey Tree amongst more bits of coal; it can be found if you look hard enough. For me I don't have the patience to keep my head down looking for tiny pieces so whilst John resumed his search for the popular fossil I wandered on the sand and rock scars looking at the magnificence around. Lil and Carole walked and talked, also taking in the beautiful views of the glorious North Yorkshire coastline and North Sea while we tracked south first over East Scar and Dab Dumps to the sands at Boggle Hole and then on over High Scar and Tinkler's Stone to Stoupe Beck Sands a point at which Carole, having arrived first took in the atmosphere. 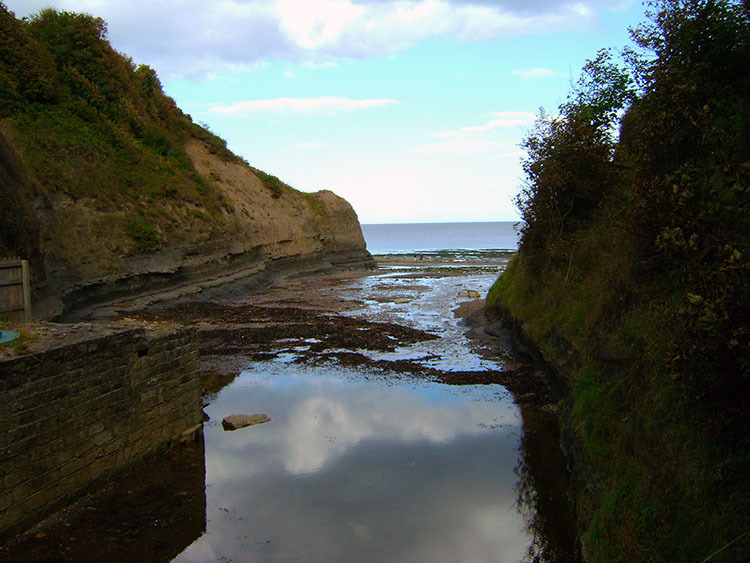 We sauntered over to join her as she enjoyed watching a couple of dogs playing in the pool created by Stoupe Beck before it made its final course over the sand and into the sea. We were all chilled having a lovely time walking on the beach and rather than make discussion, without saying a single word we just got up and resumed our course south. The weather was being brilliant, calm with a smattering of cloud but mostly sunny. It was just divine and so we ambled on without a though. As we resumed I started to think about the walk. From Stoupe Beck the magnificent high cliff of Ravenscar began to dominate the view and I was drawn to it like a magnet. It was in a moment, I had not been thinking about a 'proper' walk at all but to simply walk for a mile or so up and down the beach. As I thought about tackling the climb to Ravenscar I further surmised a return on the cliff tops along the Cleveland Way. Just like unfortunate fish caught out at sea and put on plates in Whitby I was 'hooked'. I had no choice, I now simply had to do the walk. As I planned another though took precedence. John was close by and I beckoned to him "Blooming heck John, I only put four hours on the car and we've spent nearly three getting here. You take the girls back and I'll climb up to the cliff walk. One of us may make it back just in time" The heat was on. Spurred on by the need to make haste I headed towards Peak Steel and South Cheek, the point where I left sea level and began the climb. Finding a path up was easy but after about 10 metres ascent I had to make a choice. 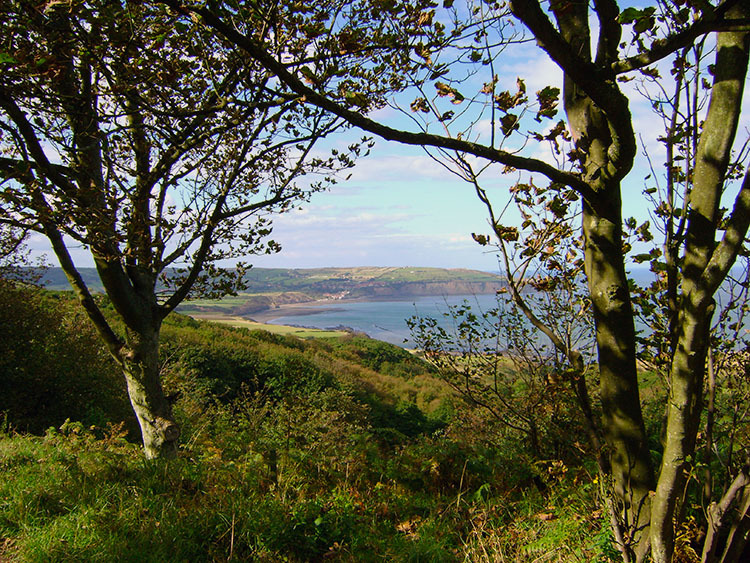 Follow a more distinct path round the edge of Ravenscar Coomb or go steeper up an irregular path. I chose the more defined one and was right to do so as it led me round the nose of the cheek to the south side to follow a clear path up to height. 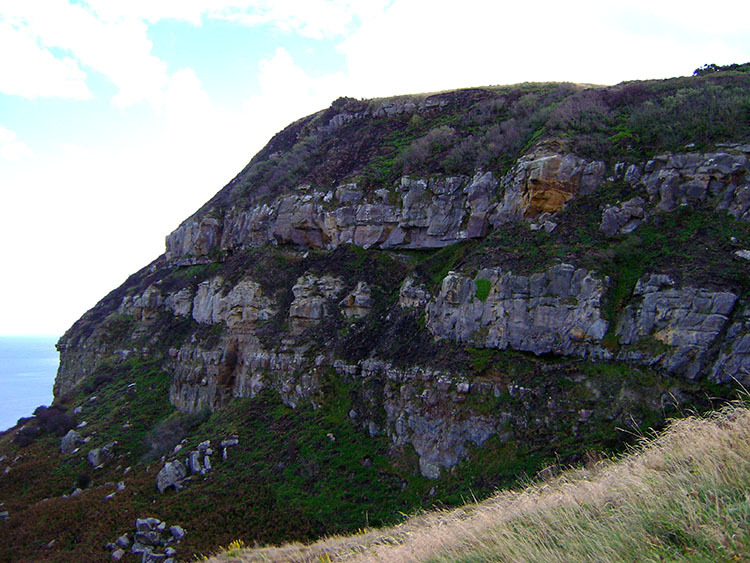 As I climbed I saw at close quarters the clearly defined Ravenscar Peak Fault, a superb view of dark hard cliff rock to my left and shale crumbly brown cliff to my right which I had followed all the way from Robin Hood's Bay. The path I followed up naturally bisected the fault line. It was incredible. 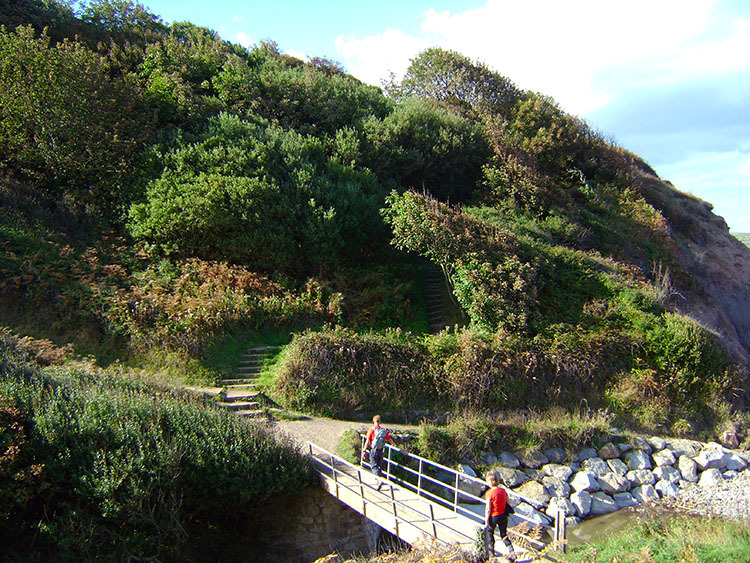 As I continued the steep sapping climb to the cliff top I took breaks to look back at the course of our earlier beach walk. The views were breathtaking. At the top of the cliff I took another glimpse to the sea before heading inland across a golf course to the edge of Raven Hall Hotel and to the edge of Ravenscar a small village which could have been much more had some ill judged Victorian Entrepreneurs got their grand plan right. 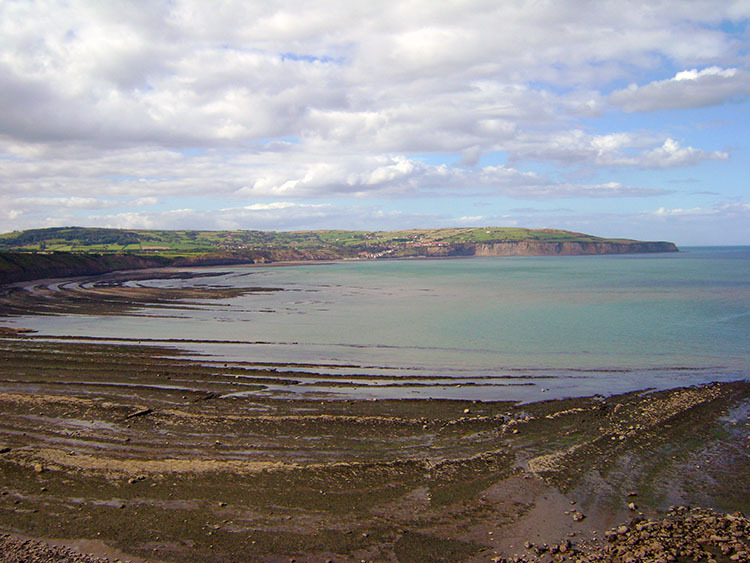 The town of Ravenscar was a Victorian Grand Plan which never happened. 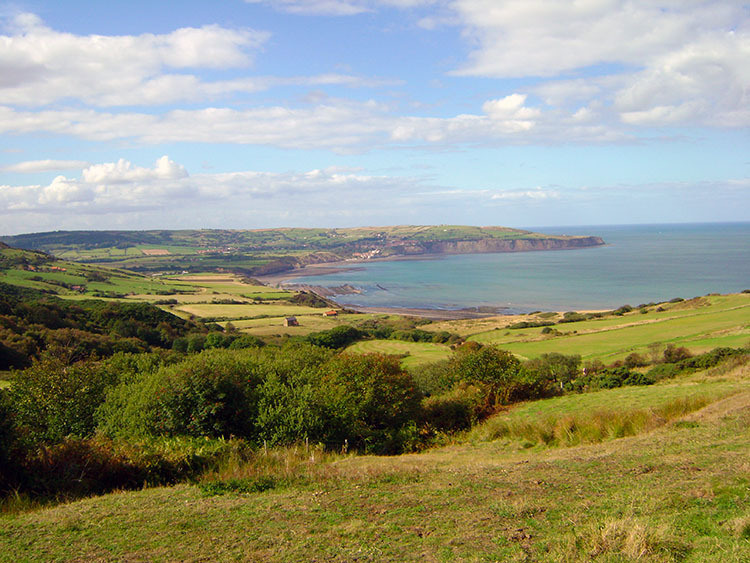 After my tough climb from sea level I can understand why it never happened and so I continued my walk not from a town but from the small hamlet to follow the Cleveland Way cliff top footpath back to Robin Hood's Bay, three and a half miles distant. The sun was beaming down now and I could not contain my thrill at the wondrous views in my possession. Leaving Ravenscar I was at my highest elevation, at around 190m above sea level and having hauled myself up I took a welcome drink while revelling in the walk. During the section from Ravenscar to Stoupe Brow Farm I enjoyed exquisite pleasures. 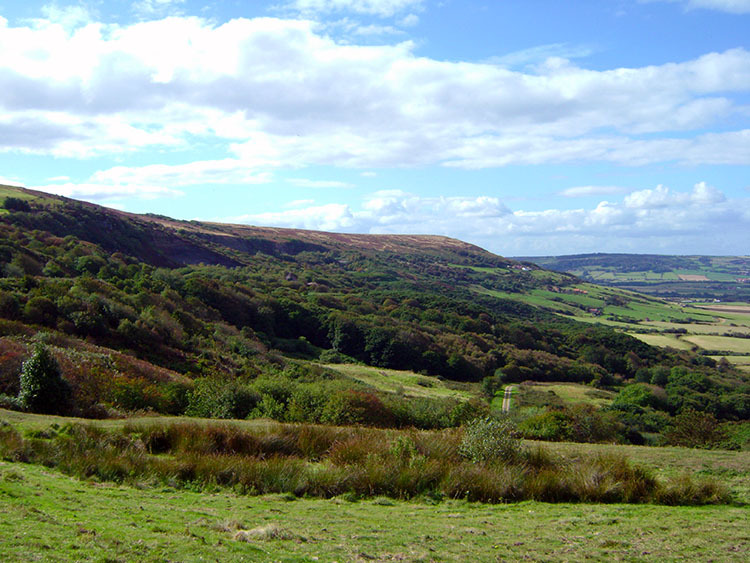 The scenery alone was awesome and my emotions were raised higher still on the wander on the Cleveland Way. It was a wonderful mix of open track and sublime copse woodland that I walked through serenely, a chapter of walking which ever changed by sunlight captured and beaming through the leaf canopy into fascinating shapes. On the course of my ever changing walk I also walked in history for there were places nearby of fascination. I passed the sites of some disused Alum works, early factory industries which gave birth of the British Chemical Industry during the reign of Henry VIII, an industry indebted to the peculiarity of mixing alum,seaweed and urine to produce a dye for woolens that would not fade. I mused during my walk through the sites of industrial enterprise, a place of activity that began its production of dyes over 400 years ago. I imagined what it would have been like when production was at its most intense and I though but tried not to imagine too much the smell the work of the chemical concoction derived here. Now I was enjoying the pleasurable smells of the English countryside at its best. Reverting to the present I passed Stoupe Brow Farm and tracked back to the coastline to recapture views out to sea. Oil Tankers making their way north across the North Sea looked still out on the far horizon, people strolling on the beach looked like toy figures 75 metres below and Robin Hood's Bay looked like a tiny model village. As I continued on the delightful Cleveland Way National Trail Path I met groups coming the other way. 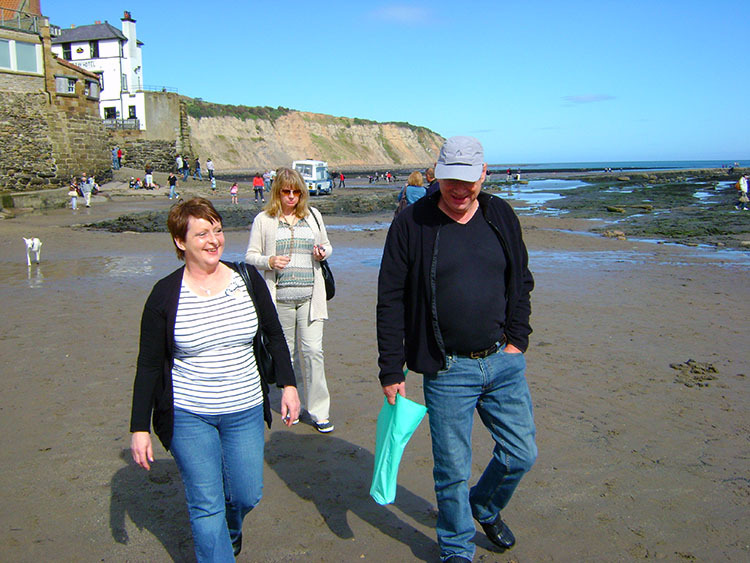 Like me, everyone was enjoying a special day out walking in a special place on a late summers day. Despite the easy level walking there were still two hidden challenges to come, both involving short sharp descents and ascents. 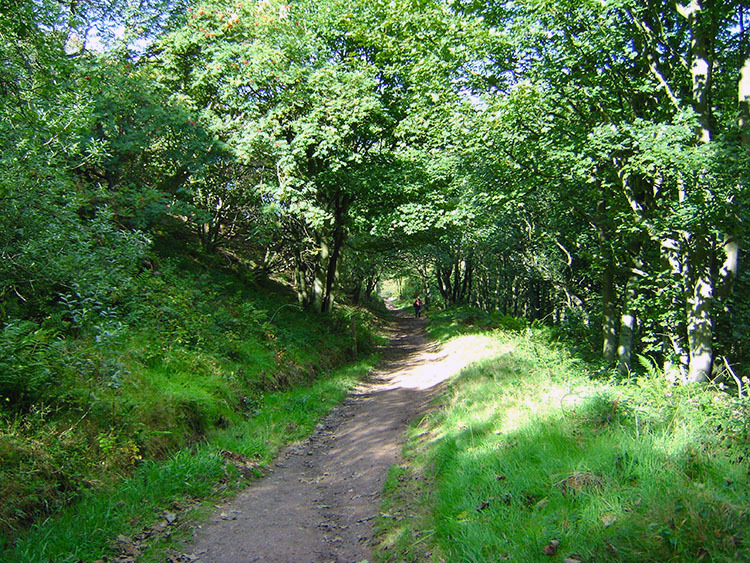 I soon arrived at the first, a dark descent from open cliff top to wooded beck's, almost at sea level. The first was Stoupe Beck Bank which took me down a bank of around 100 steps. As I descended a solitary lady climbed. I tried to encourage her with "Only 50 steps to go" I hope it helped, she was having a slow struggle up. As for me, I was now bounding and climbed up from the beck almost without halt, a couple of brief stops for a couple of breaths the only interruptions. 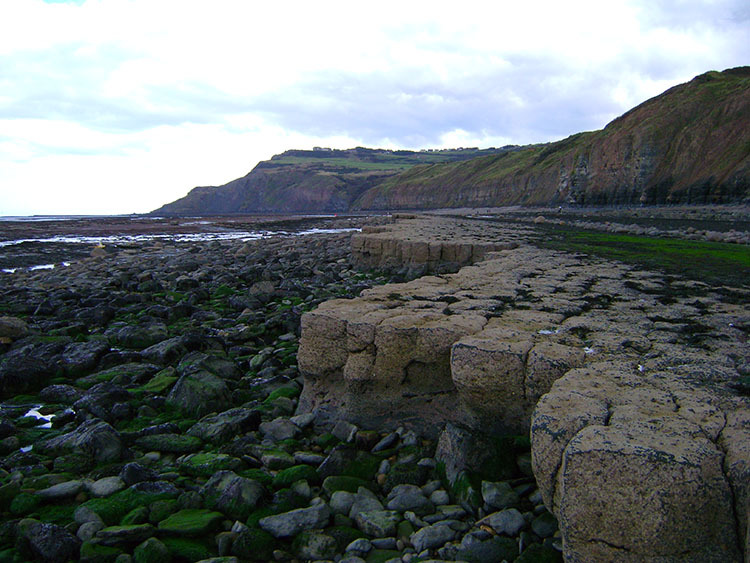 I was on the home stretch and with Robin Hood's Bay looming ever closer I walked briskly only to be deterred by my necessary descent to Mill Beck at Boggle Hole. Another short sharp down to the famous Boggle Hole Youth Hostel and short up to open views of Robin Hood's Bay once more saw me revert to a youthful bounding walk to the village. Just as well as I was surely keeping John and the girls waiting now. 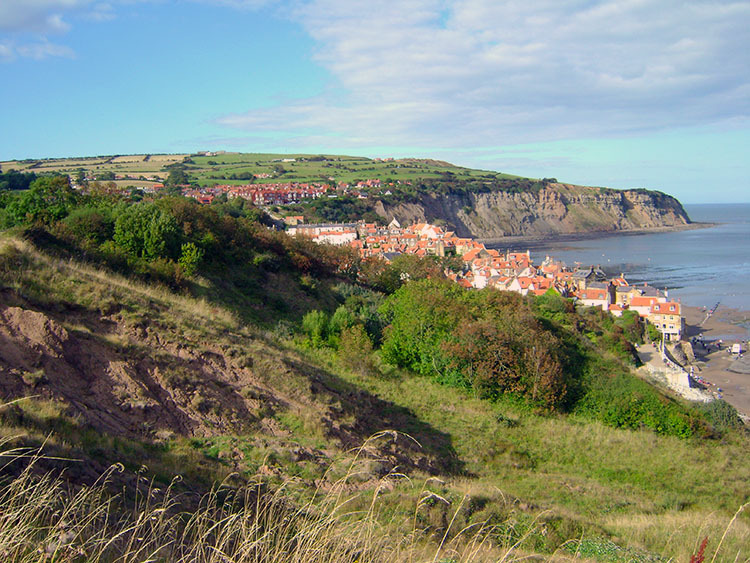 I spiritedly walked through Robin Hood's Bay and up the steep climb to the car park. As I climbed to the final horizon and saw the car Lil rushed out to give me a hug... well a bollocking actually. 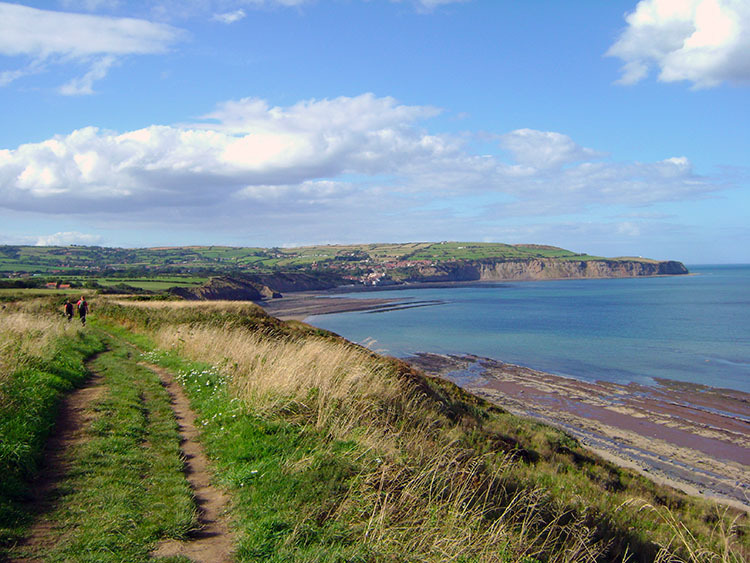 I had not clearly explained my intended route, it had been a spur of the moment decision and she had been under the impression the climb up the cliff to Ravenscar was precarious. On that premise I took my medicine but it had been a double dose for the medicine of this fabulous walk was the sublime tonic of the contrasting outward and inward sections; a glorious sand and scar walk at sea level with all that is good about the English North Coast and then an upland scenario on high cliffs with fern and heather moor never too far away. A final note of adulation to this walk, a walk so good and yet so suitable for walkers young and old. There is much to enjoy, just don't rush it.